With the sweet, sweet sounds of handyman labor all around me (yes, they’ve been here all day! ), I’m sitting down for a blogging break. Joe the Handyman ousted me from the bathroom where I was priming, so I thought I’d finally get around to posting some pics from our Chicago/Wisconsin trip earlier this summer. Hello, Chicago! Instead of waiting in line at the Sears Tower, I highly recommend that you go to the Signature Lounge at the Hancock Tower. Good views and you can have a drink. 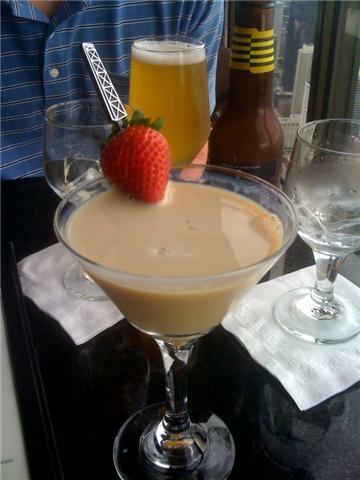 😉 I had a Sky High Martini, mainly because the name was appropriate. Will had Goose Island beer, a beer that’s brewed in Chicago. Very tasty. The Bean! When we saw this, I had no idea what it was, but apparently its real name is Cloud Gate and it’s designed to look perfect and ready-made and it’s construction seams have all been removed so that you envision your own reality and such. There’s an incomplete architectural lesson for the day. 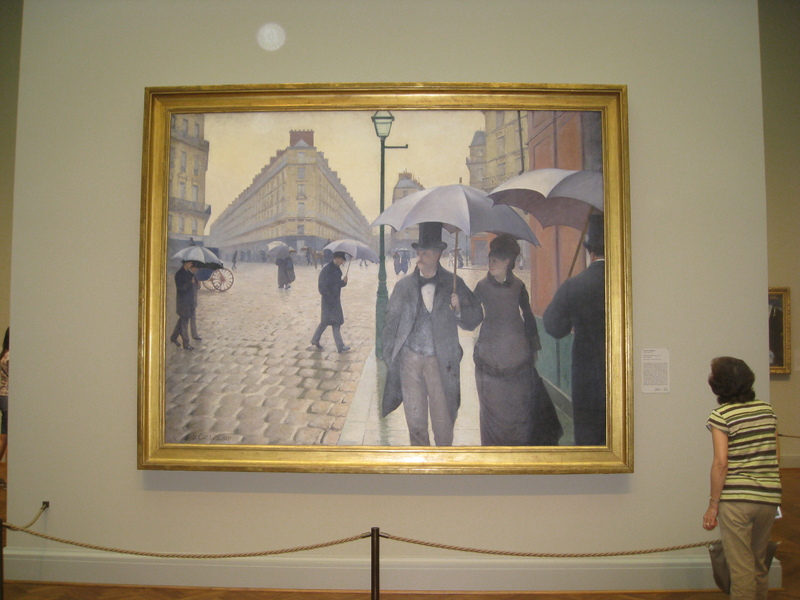 Here’s a picture of my favorite painting in the Art Institute of Chicago. I asked the guard if I could take a picture and he said yes but no flash. So, I took a picture and the flash went off. Inexplicably. And, I had to run away and not get in trouble. Each evening in Chicago, we found live music to listen to. 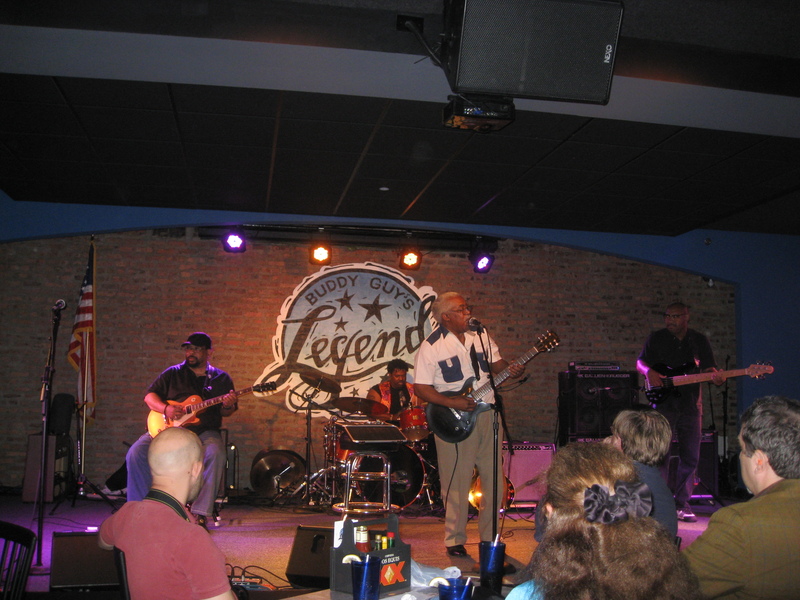 And, on on particular night, we scored an excellent music “deal.” We went to Buddy Guy’s Legends for Open Mic night. And, as a surprise, two pretty famous blues musicians were there: Buddy Guy himself (one of the top guitarists of all time) and Ronny Baker Brooks. I highly recommend that you listen to Ronny’s music, as he is excellent. Also, fun fact: Buddy Guy’s daughter is Shawnna, the girl that sings “Gettin’ Some.” Tons of useful knowledge for you here today. CUBBIES! 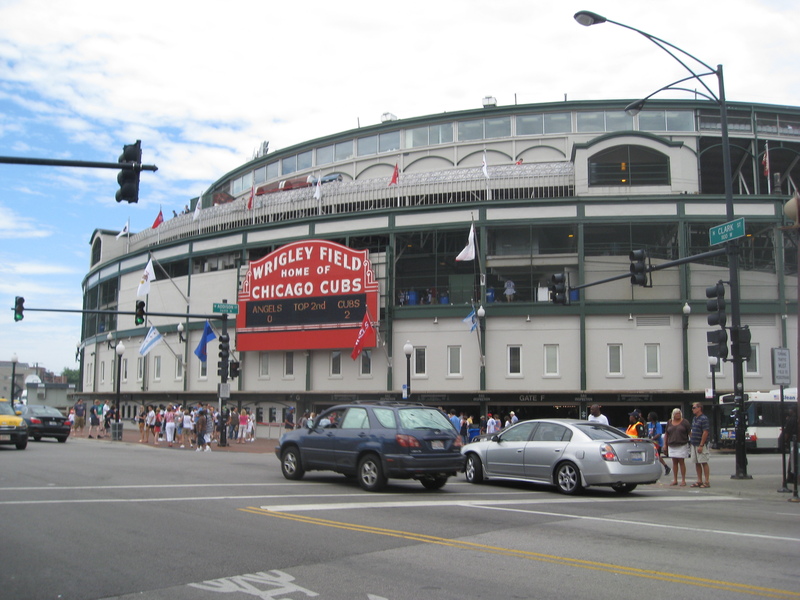 Wrigley Field! I have loved this park for as long as I’ve been watching baseball. It was an excellent, excellent outing. We were so happy to have this time and this trip to spend together before school starts. Question for you other law school wives and girlfriends out there: have you had the time and the wherewithal to take trips/vacations during school or are you saving up for a big excursion after the bar? My friend Kara did a fabulous Europe trip when her husband graduated law school and I think I could go without vacation for a few years to be able to do the same. 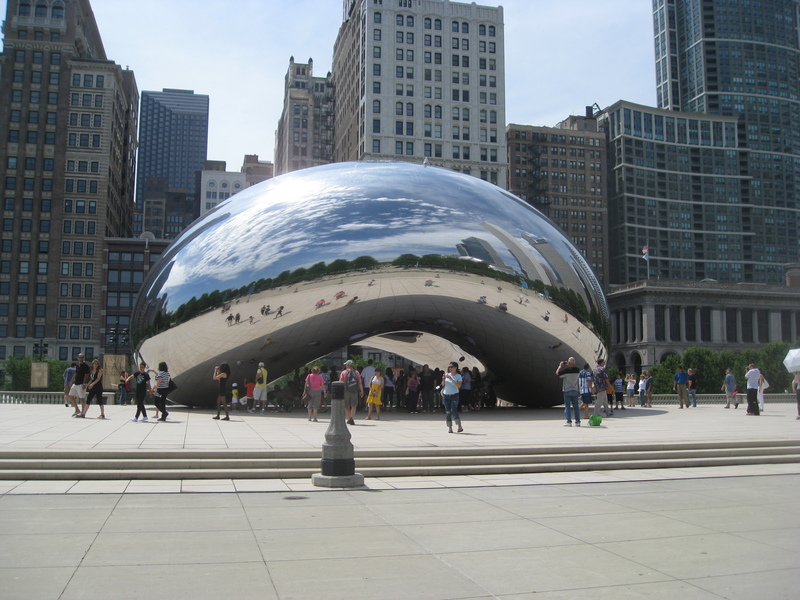 And… There’s Chicago in a nutshell…or a bean, if you prefer. Now, I must go provide the handymen with my afternoon pizza bribe-snack. This entry was posted in Chicago, Sports Stuff, Travel. Bookmark the permalink. I really want to go to Chicago! Looks like so much fun! It was fun – I wish we had taken a little more time to enjoy it; it was definitely a quick trip. What happened to your blog? I hope that the hateful person writing to you didn’t cause even more problems. I think you are such a fun and inspiring writer. I’m so jealous of your trip!! My husband (boyfriend back then) went to Chicago a few years ago and had the best time. We thought about going back this summer before I start law school, but didn’t end up going. Now I wish we had!! I hope we’re still able to travel while I’m in school, but a big trip at the end might be worth the wait. When is your first day of school? Love that painting. I had a print of it in my bedroom all through college. Definitely using this for my trip – thanks for posting the link!